A developer is seeking a 30-year tax abatement deal with the city to purchase and renovate the Federation Apartments, a 10-story senior housing complex across the street from Rosa Parks High School. 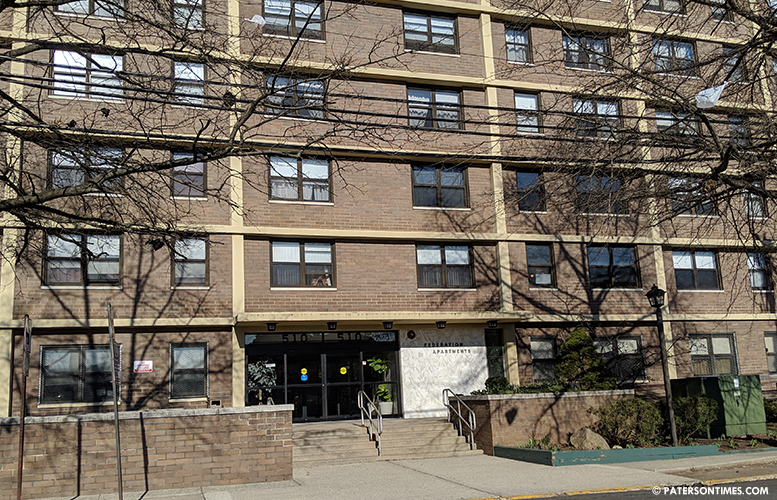 Seniors Tower of Paterson Urban Renewal LLC is seeking to purchase the complex, made up of 142 low-income apartments, at 510 East 27th Street for $9.1 million. It plans to spend another $1.6 million to renovate the facility by expanding the common area on the first floor and upgrading bathrooms with LEED certified fixtures and appliances. Kaufman’s project will generate 15 construction and 6 permanent jobs. “You’re coming before us because you want to apply for a tax abatement? Correct?” asked council president Maritza Davila. “We want to partner with the City of Paterson,” replied Kaufman. “Just keep it real. Keep it simple,” responded Davila. She said she is “not a fan” of tax abatements, but recognized the housing complex is in need of renovation. Council members rejected the last 30-year tax abatement agreement for the Cook Mill and Hamilton Mill complexes that was presented by former mayor Jose “Joey” Torres’ administration three years ago. Under the proposed payment in lieu of taxes (PILOT) agreement, the city will receive 15-percent of annual gross revenue or minimum annual service charge which is $26,599 starting year 1 through 15. From years 16 through 21, the city will get 15-percent of gross revenue or 20-percent of taxes otherwise due. Year 22 to 27, the city will get 15-percent of gross revenue or 40-percent of taxes otherwise due, according to documents provided to council members. Years 28 through 29, the city will get 15-percent of gross revenue or 60-percent of taxes otherwise due. For year 30, the city will get 15-percent of gross revenue or 80-percent of taxes otherwise due. Annual gross revenue for the complex is $1.5 million, according to the developer. “If this property was under regular taxation, you’d pay more than $500,000,” remarked Flavio Rivera, councilman at-large, chairman of the finance committee. The property is currently assessed at $12.8 million. At the current 4.326-percent tax rate, the property has to pay $553,858 in taxes. But the current owner, Jewish Community Housing Corporation of Paramus, has been paying less than half that amount due to a tax abatement agreement that was struck in 1972. Current owner of Federation Apartments paid $216,000 in 2018, according to municipal documents. The property owner is attempting to get a “second bite at the apple,” said William McKoy, 3rd Ward councilman. He said it’s a “harder lift” to get a second long-term tax abatement on a property. McKoy wanted financial details of the project and tax abatement deal in a spreadsheet. Council members were provided an almost 50-page binder, but it did not have the usual financial analysis for a tax abatement deal. “It’s interesting we go through these cycles. I go through it, I get my 50-year benefit. And give it to my brother, he comes back, and he goes through it again. We just hand it off. The previous owner got all the considerations,” said McKoy. The previous owner should have kept up with renovation, said McKoy. McKoy and Michael Jackson, 1st Ward councilman, thought the $1.6 million to renovate the 10-story building paltry. Jackson said a good chunk of it will be eaten up by sprinkler system installation at the building. “I don’t even know how they got away with it for this long,” said Jackson. Sprinkler system is a requirement, he said. “We want to make sure there’s mutual benefit. $1.6 million is too low,” said Jackson. Council members wanted the finance committee to review the financial details of the deal before bringing it back to the full governing body for a vote.